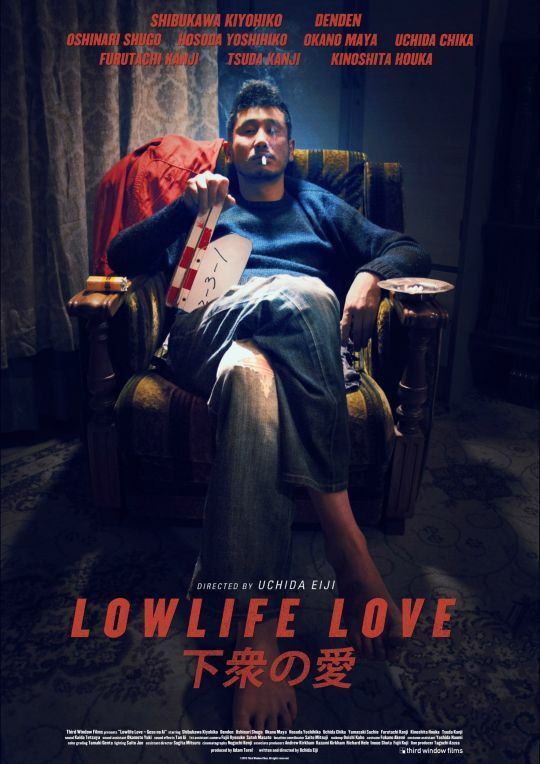 A bit low key and dead pan with a not particularly likable main character, LOWLIFE LOVE is a film you are either going to embrace warmly or turn off to as it unspools before you. Sadly I was in the the second group and I found myself doodling in my note book while it was on. Its not that the cast is bad or its a badly made film, its just I really didn't like Tetsuo so watching him go through his paces didn't interest me. I suspect it maybe because I've run across a fee too many similar characters both in real life and on film and almost all of the cases my attitude has been to simply walk away.